Estrosense Review (UPDATED 2019): Don't Buy Before You Read This! 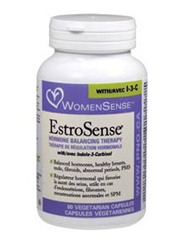 Estrosense is a supplement that promotes hormonal balance with daily use. Estrosense is intended for use by women experiencing a variety of conditions as related to hormonal imbalance—from menopause to fibrocystic breasts, PMS and even hormonal acne. Estrosense claims to work by promoting detoxification in the liver, as well as the excretion of harmful hormones. Additionally, Estrosense provides users with a rich blend of antioxidants, which help support the immune system and prevent various illnesses. After looking at a range of drugs and natural formulations targeting the symptoms of menopause, we’ve found Femmetrinol works best to take on things like hot flashes and changing moods. This product uses damiana, chasteberry, wild yam and black cohosh to deliver the results women are looking for. Click here for a deeper look into the ingredients used to make Femmetrinol. Indole-3-Carbinole: This ingredient can be found in a number of common green vegetables like kale, brocollli and cabbage and is thought to have some effect in preventing diseases like breast and colon cancers, as well as in treating conditions like fibromyalgia. Indole-3-carbinole is also thought to help balance the hormones in the body and detoxify both the intestines and liver. Green Tea Extract: Extracted from the leaves of the Camellia sinensis plant, many people take green tea extract for its high antioxidant content, as well as to improve mood, prevent several types of cancer, as well as promote thinking and mental alertness. Turmeric: A spice used in curry and other cuisines, turmeric is used for a whole host of conditions from headaches and colds to thinking, memory and menstrual problems. Turmeric is known for its anti-inflammatory properties and may be effective in treating conditions that stem from inflammation. Milk Thistle Seed Extract: Milk thistle contains antioxidants known as silymarin and silybin, which help protect the liver against damage from toxins, including alcohol. Side effects may include allergic reactions. Blood clots, bloating, diarrhea, constipation, heartburn, headache, elevated liver enzymes, and in some cases, heart attack. Rosemary Extract: Used for increasing menstrual flow, joint pain, sciatica and preventing memory loss, rosemary oil may also be helpful in treating digestive issues. Lycopene: A naturally occurring chemical that gives fruits and vegetables a reddish color, lycopene is found in tomatoes, grapefruit, apricots, watermelon and more. This ingredient may help prevent certain cancers and is sometimes used to treat HPV and asthma. Sulforaphane: A chemical found in vegetables such as broccoli cauliflower and cabbage, it may have an effect on cancer prevention. Get the inside scoop on the best menopause pills, no prescription needed. Click here for more info. Estrosense clearly contains a lot of the ingredients that make certain fruits and vegetables so good for us—with plenty of antioxidants, this formula likely has some kind of aa positive effect on users, especially users who may not be getting the recommended amount of fresh foods in their diet. Unfortunately, we don’t really see this product as being a great solution for women going through menopause. For example, most of these ingredients function as a preventative measure against chronic disease or inflammation, and may, over time provide some measurable health benefits. But relying on this idea of liver detox as a means to treat menopause or even any menstrual condition seems somewhat misleading to consumers who are likely looking for some relief from the discomfort stemming from a hormonal imbalance. We’re not ruling out the possibility that good nutrition could alleviate some of the symptoms of menopause, but for those suffering from severe hot flashes or drastic changes in mood, a supplement containing a bunch of foods you can buy at the supermarket is likely not going to be enough. Click here for the full guide to the best menopause pills for fighting hot flashes in short order. Estrosense is not sold on the official product webpage, though they do offer a store locator for people looking to buy this from a local brick and mortar store. Most retailers carrying this product are natural foods stores like Whole Foods, or vitamin-specific retailer like The Vitamin Shoppe. 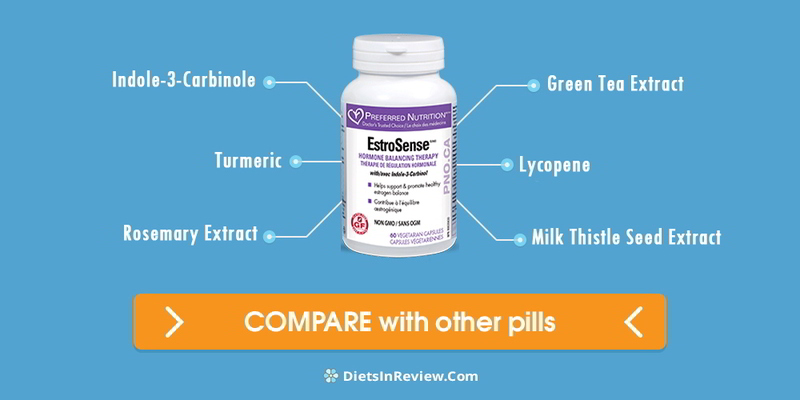 Estrosense can also be found online through Amazon, iHerb and more and the price tends to hover around $20 for a one-month supply or $40 for a two-month supply. Given the target audience, this product seems like its priced within reason, but it’s worth considering that it’s made from food-based ingredients easily found in any grocery store and its indication is extremely vague—it claims to work for all women’s health issues, which makes little sense. Get to the bottom of your hormonal issues—click the link provided to take a deeper look at the best solutions on the market. The Natural Factors website contains a lot of information about this company’s commitment to sustainability and natural conservation, as well as their farming practices. Unlike a lot of supplement companies, Natural Factors grows their own herbs to be used in their formulation, which could be a major selling point for certain consumers. This company does not sell this product directly to consumers, but they do have a store locator and can be found on a few e-commerce platforms. We appreciated the commitment to sustainability, and like that this company has taken the extra care in telling their story, but the Estrosense page does not offer any information about the product, aside from a label and a vague descrition. The “questions” tab on this page directs consumers to a form they can fill out, rather than educating the consumer about what this product can do. Overall, it seems that many users felt that they did get some benefits from using this product, though they were generally not related to menopause symptoms. Users with headaches resulting from menstrual cycles may find some relief, as many people mentioned Estrosense had helped. However, many other people noticed an unpleasant smell and taste, as well as a lack of results. 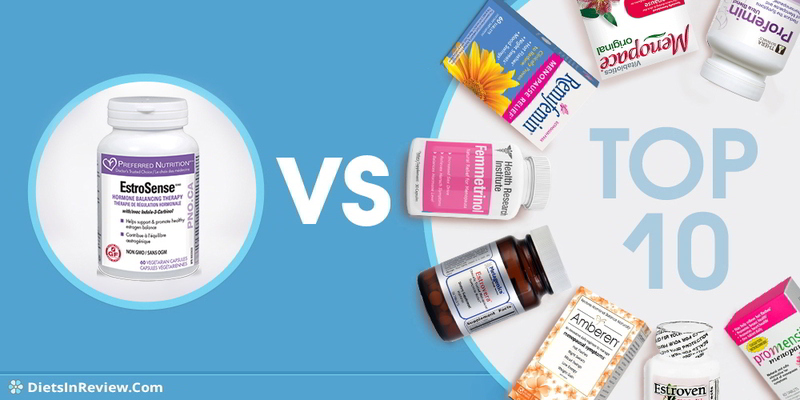 Our guide to the supplements that offer the best relief from hot flashes and more. Check it out right here. Conclusion – Does Estrosense Work? Based on the reviews, the formula and the confusing indication for Estrosense, we likely wouldn’t recommend that potential users buy this product to ease the symptoms of menopause. While we liked certain things about this product—all the antioxidants and cancer-fighting compounds, the benefits users receive are akin to those one would get by eating a nutritious diet, which supplements are not meant to replace. In looking at the concept of liver detox as a way to promote healthy hormone levels, we’re seeing something of a disconnect. Yes, all people can benefit from some level of detox, when done safely, but it seems that Estrosense is giving users hope that detoxing can solve all their reproductive problems, which could be dangerous if there’s a serious underlying condition at play. Overall, the fact that this product is meant to address the broad umbrella of “women’s health” makes us unsure that women going through menopause can expect to see any change in their condition. This product was reviewed primarily by women who have not yet hit the menopausal phase in their lives and have different concerns. Our experts recommend Femmetrinol to menopausal women that seek relief from hot flashes, night sweats and changing moods. This product works by using a blend of herbal ingredients which help balance hormones and reduce discomfort with daily use. 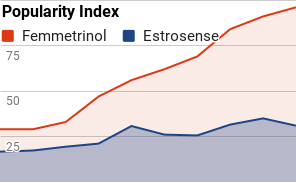 Femmetrinol is made following good manufacturing practices, and has been subject to a number of quality testing measures to ensure maximum benefits. 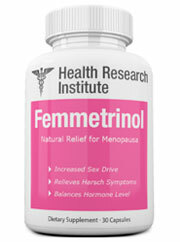 Click here to take a closer look at the ingredients used to make Femmetrinol.